"Follow your dream, but keep at least one foot in the ground". 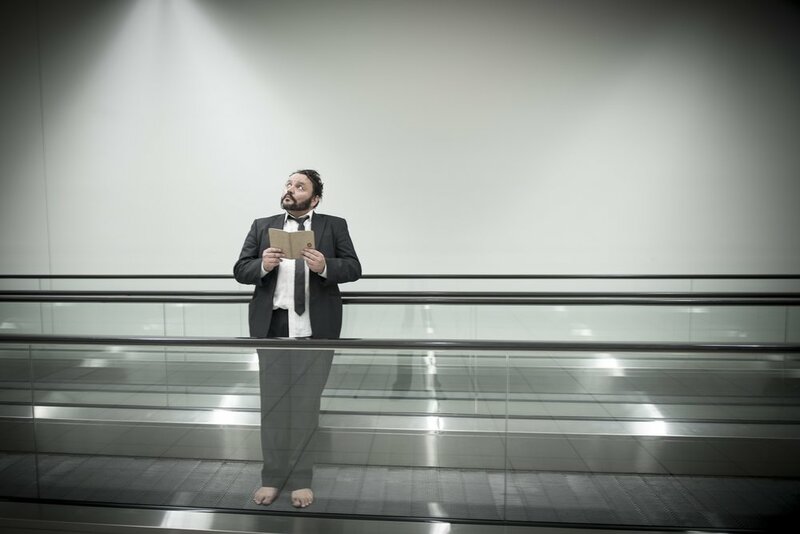 Alirio is a multi-award winning director, theatre maker and founding member of the Border Project, a contemporary performance ensemble. 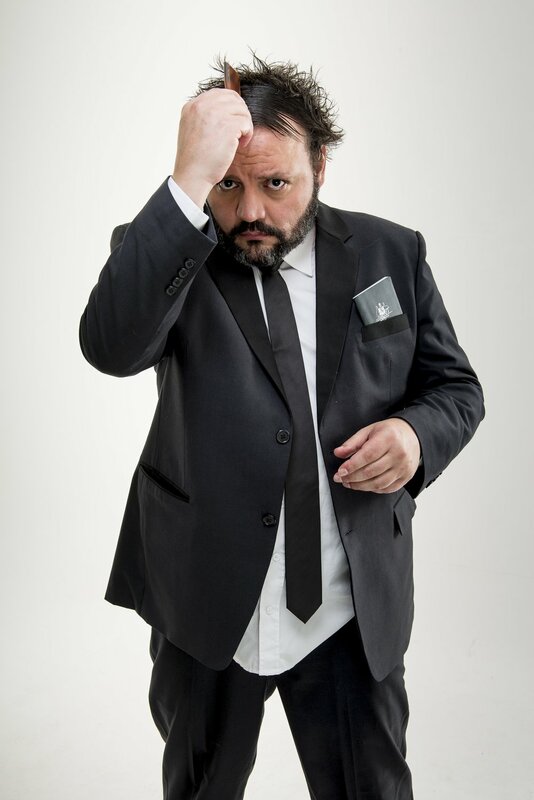 Recently nominated for Australian of the Year, he has collaborated on, developed, and directed performances for leading theatre companies and organisations across the country. His biggest achievements include two theatre productions that he wrote, directed and performed in, Sons and Mothersand The Book of Loco. 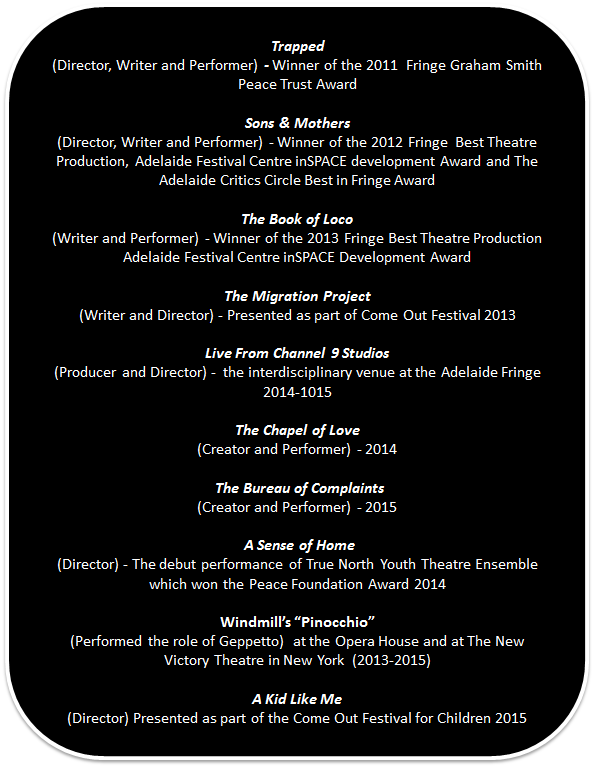 Such was the success of these pieces that he twice won the Adelaide Fringe Award for best theatre production. He currently teaches drama at Flinders University and will shortly be heading to North America to co-direct and tour two productions. I have always been in love with Australia. I remember when I was a kid I used to play with a friend imagining we sailed from South America to Australia. I haven’t made that trip yet, but it’s on my bucket list. My dream of moving to Australia finally came true in 1992. That same year was the beginning of a tumultuous time in Venezuela when a guy called Chavez entered the scene. I applied to come to Australia two years earlier, but as you may know, the immigration process can be very slow. I feel I lived in limbo during that period, not knowing if I would be able to come to Australia or not. When I arrived, I struggled to find a job in my field as a computer programmer because I was ‘overqualified’. This, paired with the fact that my oldest brother was blind and had an intellectual disability motivated me to become a support worker. Two years later, I started supporting people with disabilities to produce and perform in theatre productions because I have always loved theatre and the arts. I did not know it at the time but my relationship with my brother and the methods I developed to support people with disabilities to create art would be the foundations for the award winning play Sons and Mothersproduced for No Strings Attached Theatre of Disability. As a child in Caracas, I was part of the National Youth Orchestra Movement ‘El Sistema’. My aim is to bring a bit of Venezuela to Australia and to create opportunities for young people like the ones I was afforded that ultimately changed my life. I believe that doing art is a human right and vital for human expression. In 2013, my wife and I fulfilled this dream by bringing theatre to underprivileged young people living in Northern Adelaide. Together we founded AJZ Productions and True North Youth Theatre Ensemble which now have over 60 members and two scholarship programs. I am currently juggling a number of exciting new and existing projects. This includes developing the Tower of Babel, a production that plays with language, culture and our place in this amazing country. I have also been asked to co-direct a show in Austin, Texas about women and their experience of motherhood inside and outside of prison. True North Youth Theatre Ensemble has been invited to perform their show A Kid Like Meat The World Festival for Children in Canada next year. I have also just received a nomination for Australian of the Year 2016. This is a very humbling and amazing honour, but as a immigrant (adopted son of Australia), it means even more to me. Understanding the system - The language was the first barrier I encountered as I had to learn everything all over again. Even though I spoke English, the Aussie slang is another thing altogether. It is not just the words, it is the whole system. For example, I found myself making sentences to try to explain the meaning of my words, to transmit my sense of humour and even to explain the arepas, hallacas or tequeños (a small sample of the vast Venezuelan cuisine). It takes time, until one day your brain not only starts thinking in English, but also understanding the whole system. Missing your homeland - The homeland is always missed but I think it is always with us. You know that even when your mouth speaks English, your heart will always speak Spanish. Qualifications - When I arrived to Australia, I struggled to find a job as a Computer Programmer because I was ‘overqualified’. I did not understand that concept at the time. In Venezuela the more qualified you are, the easier it is to get a job. So, in Australia you just need to walk around this concept, move on, and keep going. Do your homework - Learn the language and research the steps or hurdles you have to jump in your particular profession. I think success comes with a lot of hard work, but I am also very thankful for all the amazing blessings that I have received along the way. Follow your dream - Don’t let things in your way stop you from achieving your dreams, be flexible and resourceful, but keep at least one foot on the ground. Do not let your perceived difference, accent, ability, or ethnicity get in the way of your dreams. We are all humans and our stories, our voices, need to be heard.